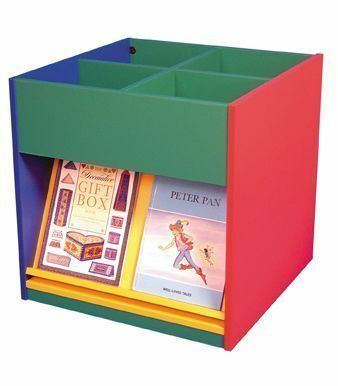 Kinderbox with lower sloping shelves for bool display and four upper storage compartments. Comes in a choice of seven finishes including multicoloured sides to your own design. Comes in 15 - 20 days.